According to research around 60 cats or dogs go missing every hour. Sadly many missing cats are never returned so the fear of losing their beloved pet haunts many cat parents. Whilst micro-chipping is very important, it only works if the cat is found and taken to a vet to be scanned. So when sitting and waiting is not an option, what’s the alternative? How can I proactively find my cat when it goes missing? There are a few options of which Radio Frequency Cat Trackers or GPS Cat Trackers are the most popular. As we have considerable experience of both technologies, we thought that it would be very useful for our customers, to explain which is best for tracking cats and why. But let’s start by explaining the difference between the two technologies. The Global Positioning System (GPS), is a global navigation satellite system that provides location and time information in all weather conditions, anywhere on the Earth where there is an unobstructed line of sight to four or more GPS satellites. The GPS system, which is owned and operated by the US government, operates independently of any telephone or internet reception. It allows you to track over time and see where something has been on either PC, tablet or a smartphone. RF Cat Trackers like the Tabcat Cat Tracker uses Radio Frequency (2.4ghz) to send and receive messages between the handset and the tag. The strength of the transmission from the tag received by the handset is used to indicate distance as well as direction. In this way the handset shows which way and how far to walk to locate the lost cat. So what does this mean. Which is ultimately better? 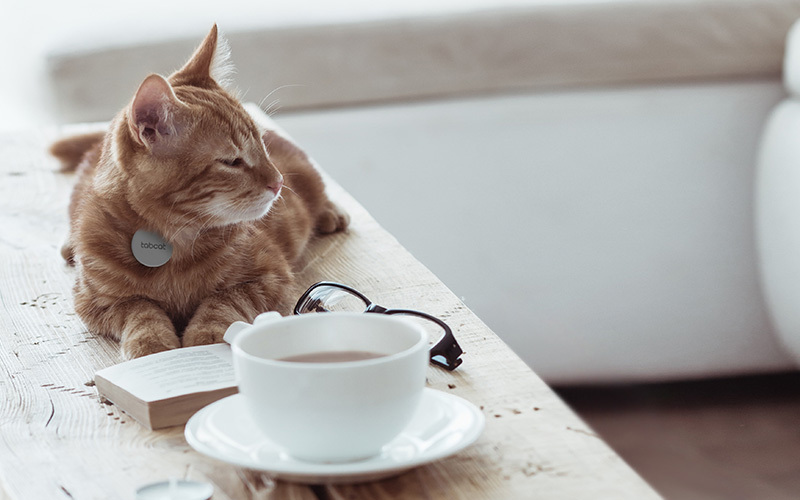 Well let’s look at four factors which you may use to decide what’s best for you and your cat; size and weight, battery life, accuracy and cost. GPS devices are designed to track a larger items over large distances. But because of this, they suffer from being relatively heavy and large when compared to the Tabcat Cat Tracker. A GPS Cat Tracker will often be 1.1oz plus ounces. Whilst, this may not be an issue for larger animals such as dogs, this is a major consideration from a cat welfare perspective as 1.01lb is quite heavy for the cat to carry around. By way of comparison, it is equivalent to a adult human carrying half a bag of sugar (1.1lb) around their neck*. For an average cat weighing 1.1lb, this equates to 0.3oz. By comparison, a Tabcat Cat Tracker tag is only 0.2oz, so a GPS Cat Tracking device is approximately five times the weight of the Tabcat Tag. GPS devices locate using triangulation from four or more satellites orbiting around the earth. This signal between the device and the satellite has to travel approximately 12,000 miles. As a result the battery has to work very hard to power the device consuming a lot of battery even when the device is transmitting periodically. A GPS will usually last between two and six days before the battery needs to be recharged (dependent on use). The Tabcat Cat Tracker battery will last up to a year dependent on use. When its flat it can be easily replaced with a widely available CR2032 battery. Whilst GPS will locate over a very large distance, but it is not so good at pin point accuracy. Normally a GPS device will track to between five and ten meters. This is OK if the cat is in the open but more problematic if the cat is lost in dense undergrowth or even stuck in outbuildings or a shed. GPS also relies on direct line of site to the satellites so also becomes highly problematic indoors. 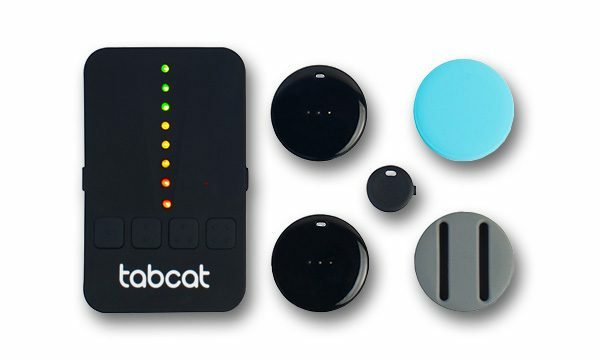 The Tabcat Cat Tracker uses its sounds and lights to track a Cat Tracker Tag to within 2.5 cm. This is particularly important if a cat becomes stuck in a cupboard, under floorboards or in a neighbours shed. Unlike GPS, the RF waves can ‘see through’ walls, making it usable indoors and out. GPS Cat Tracker device cost will usually have a hardware (device) and data element. The hardware will cost between $70 and $300. Sometimes the hardware cost will include the first year’s data subscription, alternatively there will be a monthly data cost of $10 to $20 dependent on the data type the device is using. If the first year’s data is included, a charge will be made for subsequent years. This can cost between £20 and £80 dependent on which device is used. 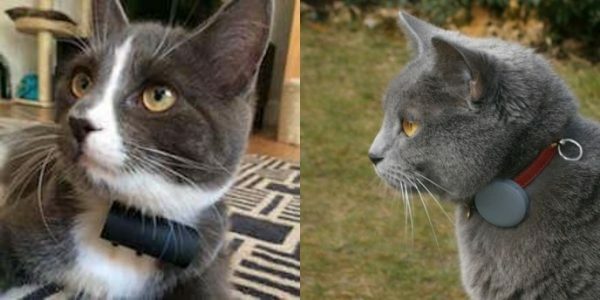 There is a simple one off charge of $99.99 Tabcat Cat Tracker. No data contract is required. If you’re still not sure, you can take a look yourself with the Tabcat Cat Trackers’ 30 Day Money back Guarantee. Click here for more details. * Based on a average adult human weight of 155lb and an average cat weight of 9lb. **Weighed down by science: do collar-mounted devices affect domestic cat behaviour and movement? Cayley E. Coughlin and Yolanda van Heezik Department of Zoology, University of Otago, PO Box 56, Dunedin, New Zealand. Published in Wildlife Research 20/03/15.